Alan Teshima jokes that he didn’t take a single breath as he tied his first fishing fly. One year later, he now finds the craft relaxing. 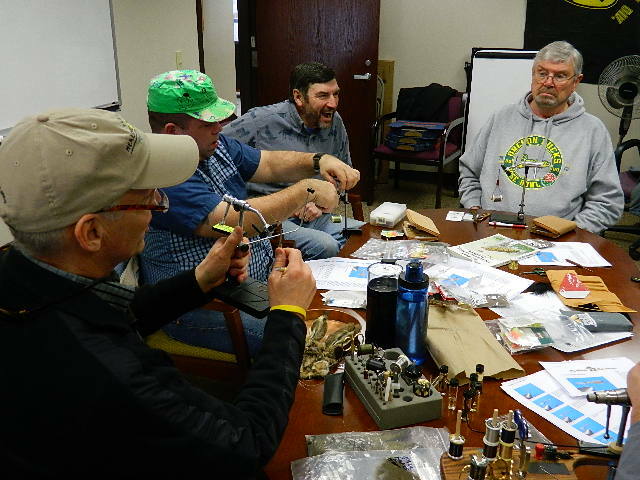 Like fly fishing, tying flies requires too much concentration for the mind to wander, but not so much that it’s overwhelming. That’s why some local veterans find solace in it. Teshima’s service in the Air Force, from 1972 to 1975, overlapped the end of U.S. involvement in the Vietnam War. “The closest I got to Vietnam was Okinawa (Japan)," he said, “which was fine by me. I had friends who died in Vietnam." 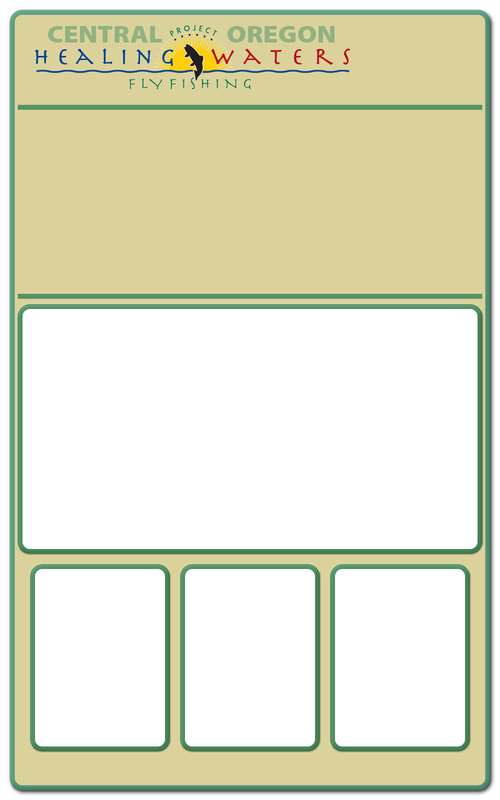 Teshima retired a couple of years ago and didn’t have much to do. 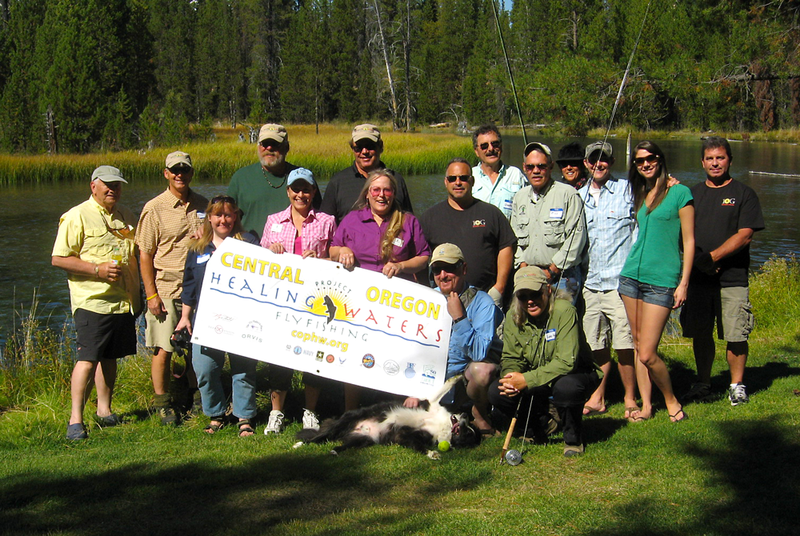 He visited the Central Oregon Vet Center, where he came across Central Oregon Project Healing Waters. 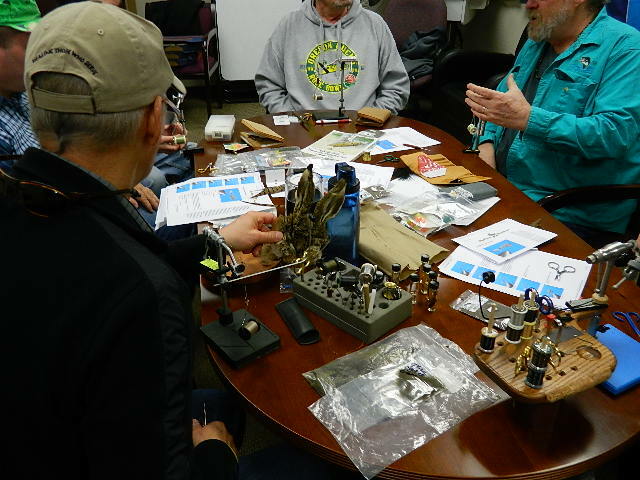 It’s part of a national program for veterans and disabled active service members, to promote physical and emotional rehabilitation through fly fishing and fly tying. 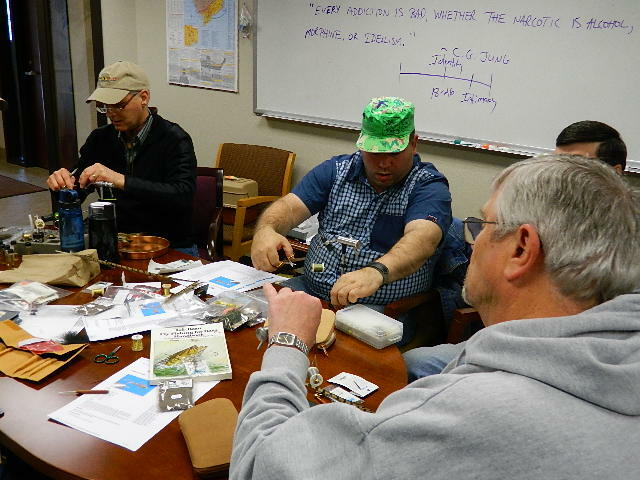 Every Friday afternoon, any veteran may drop in and tie flies. The group arranges fishing trips, too. In May, they’ll fish the private Lake in the Dunes. 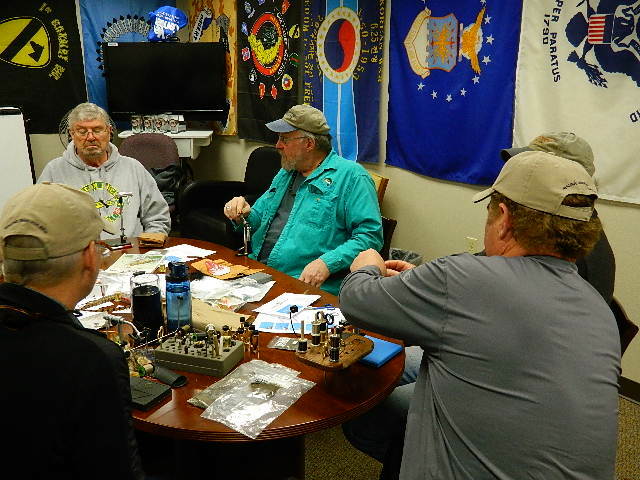 In June, the Confederated Tribes of Warm Springs has invited them to fish the tribal side of the lower Deschutes River. 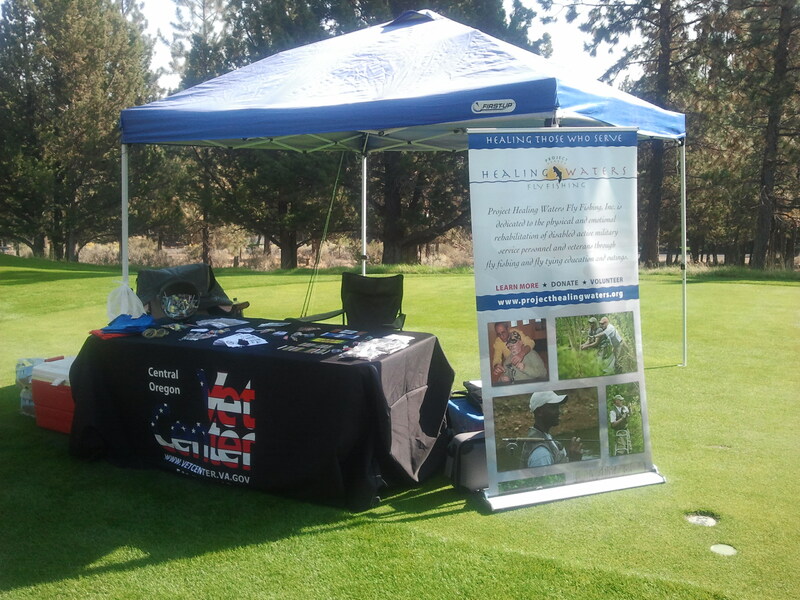 Project Healing Waters hitting the links! Here is a picture of yesterdays golf tournament at Awbrey Glen Golf Course. I set up a casting challenge where the golfers had to attempt to cast their “fly” and land it on the top of a bucket lid. One golfer exclaimed that casting the rods was the “highlight of his day”. 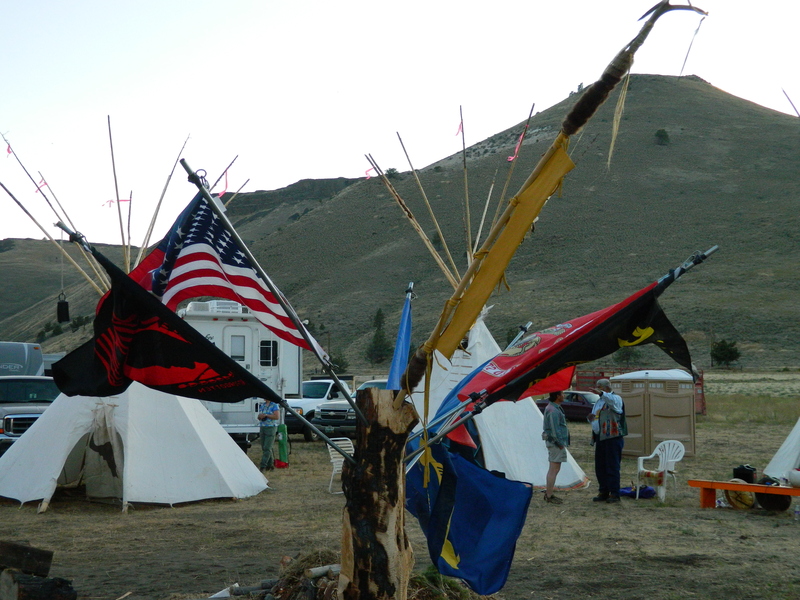 The 'Peaceful Spirit Outing' at Warm Springs, Oregon was an amazing success. We arrived and were told by our host that the only thing we needed to do was relax and enjoy. The entire area was at our disposal as were Casey Green's family and friends, this was our time to heal.This being our first outing with Casey and the Warm Springs people, I had no idea what to expect. It truly was a day that honored our Veterans, warriors of so many battles. Now I know that the feelings I came home with are feelings of warmth, belonging, love and understanding. We got there about 930 AM and were introduced to Casey's crew and generally got our feet under us. One of our vets got rigged up and went fishing until lunch as others arrived from Portland and Bend. Just before breaking for lunch, Casey and his mother had a welcoming talk about their land and some history about the name of the guide service Casey has started, Tiluiite Injun Guides, named for the site we were on. Lunch consisted of Indian Tacos - fried bread and all the taco fixins - really good. 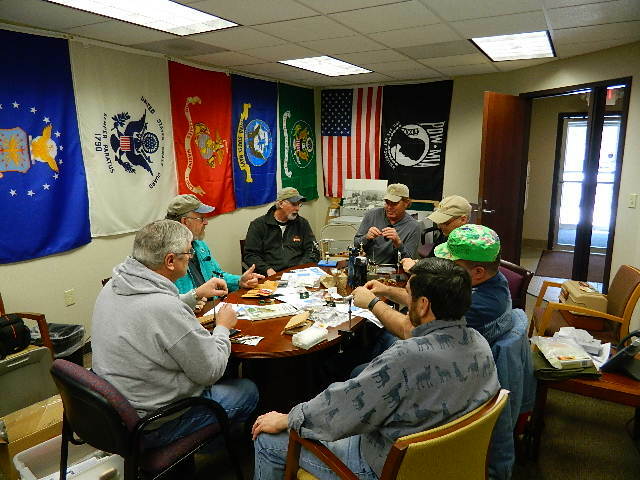 After lunch everyone was free to go fish, hang out tying flies, or telling lies .... which as veterans and veteran fishermen, we all do quite well.